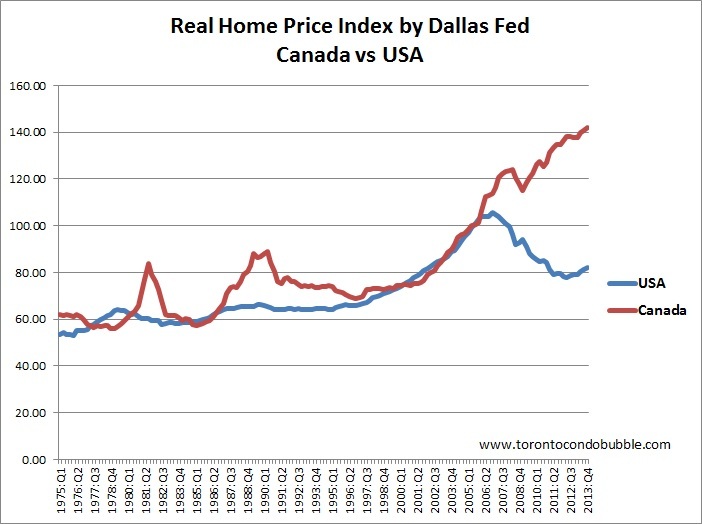 No Housing Bubble in Canada? "The advice we have received is that we are not in a bubble," told the Finance Minister to reporters. I wonder whose advice that was? Was it from the real estate cartel (CREA), was it from the banks or was it from the CMHC? What was that advice based on? 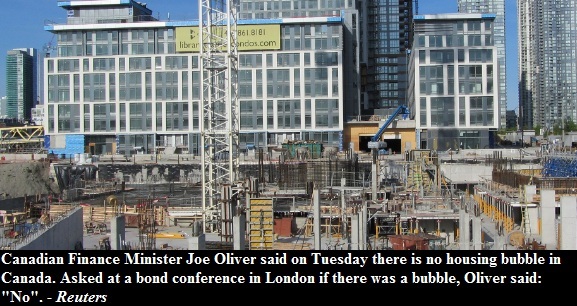 The fact that Joe Oliver did not say anything else beyond 'receiving the advice' tells me that he is hiding something. So a year ago Flaherty saw early indications of a bubble and he was glad that things were slowing down. But wait a second, things didn't fall back. Since that comment was made condo prices went up by 7.6% in the City of Toronto while detached dwellings went up by 9.2%. Overall in Canada the average home price rose by over 7%. That's right, there is no housing bubble in Canada - keep calm and carry on.